by Deborah Chandler | Home & Garden | This book has not been rated. Revised Edition "When Deborah Chandler startet to weave in the early 1970s she had no teacher. The few books she could find gave some very basic instruction, followed by, "Now go ahead - your imagination is the only limit!" Feeling that she had no imagination, Deborah gave up weaving. But it would not leave her alone. Only years later, after learning from some very good teachers, did she realize that before she could use her imaginatioin she needed to understand how a loom works and the basics of fabric structure. Once she understood the tools and the processes, she could use her imagination effectively. So that's what Deborah strives to pass on to her students, in person and in writing. 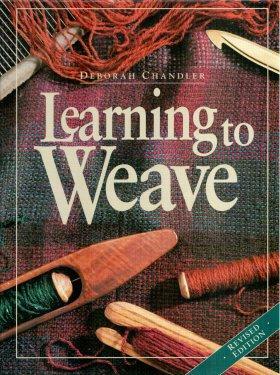 Learning to Weave is a four-shaft weaving course which makes learning to weave, with or without tacher, easy and fun. The writing is friendly and straightforward; the illustrations and photographs are thorough and clear. All you need t know to weave with confidence is here: step-by-step warping (by three different methods), weaving technique, project planning, reading and desinging drafts, the basics of the most common weave structures, and lots of handy hints. 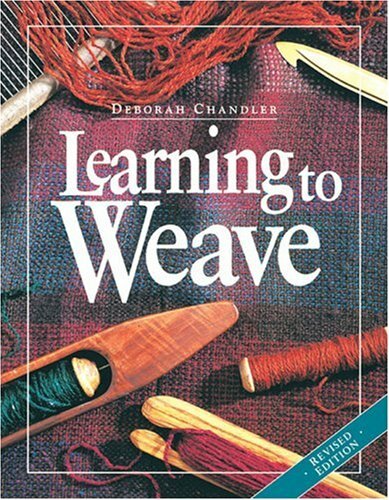 Beginners will find this book an invaluable teacher; more seasoned weavers will find food for thought in the chapters on weave structures and drafting. Besides teaching extensively through weaving guilds and schools, Deborah has been a weaving shop owner, a contribution editor of Handwoven magazine, a Peace Corps volunteer in Honduras, and an employee of Pueblo to People, a nonprofit organization that imports and sells handcrafted good from Central and South America. Deborah is a founding member of Weave a Real Peace (WARP), an organization dedicated to building bridges between weavers in First and Third World countries. Darf für eine Weile nach Bienenbüttel reisen.